It’s time to celebrate! The holidays, the new year, and the hope of good things to come. Like a pair of lovely wines in the Celebration Wine Bag! 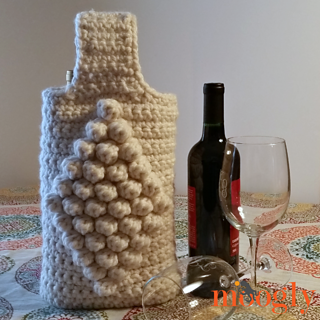 The Celebration Wine Bag was based on a request I received from several readers - for a wine bag made to hold two bottles rather than just one! 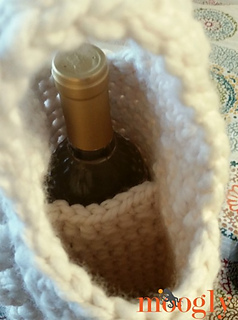 Perfect for gifting a white and red, or just taking two of your favorites to your next party, this bag keeps them safe and lets you carry them in style! This pattern takes just one ball of Lion Brand Wool-Ease Thick & Quick Bonus Bundle (or 2 balls of the regular size Wool-Ease Thick & Quick), and a couple of evenings to whip up! And the bobbles on the front look like snowballs - so fun!